As advancements are made in both photovoltaic technology and solar-powered car design, efficiency rates have been skyrocketing. Nowhere has this been more apparent, or exciting, than in the field of solar-powered racing. A team from the University of NSW just obliterated the previous solar-powered car efficiency record. The students crossed Australia from Perth to Sydney on just $50 worth of electricity. 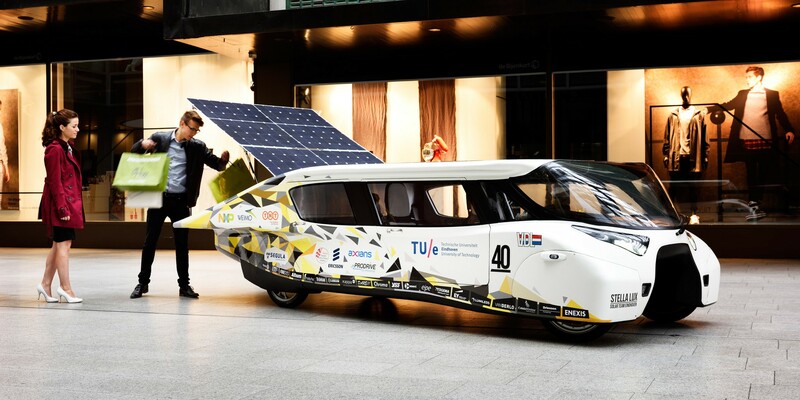 Solar Team Eindhoven is a group of 21 students from the Technical University of Eindhoven (Netherlands) who put their studies on hold for over a year to work on what became the Stella Lux; an energy positive solar car.